Emmett started his medical herbalist training at the School of Herbal Medicine in Surrey in 1991 and completed his studies at the Scottish School of Herbal Medicine with a University of Wales accreditation Post Graduate Diploma in 2002 and a specialist MSc in cancer treatment. 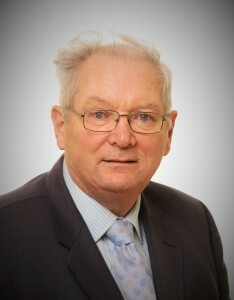 Prior to this, Emmett did an Animal Science Degree in UCD in 1976 and an MSc in Nutrition in 1977 which led Emmett entering Herbal Medicine studies in later years. Emmett’s training has equipped him to be a safe medical practitioner using the tried and trusted principles of western herbal medicine either alone, or with Ayurvedic treatment or with allopathic medicine. Emmett has trained in pathology, clinical examination, differential diagnosis, red flag emergency signs, medical data interpretation and herb-drug interaction. A deep interest in Irish culture and its civilisation has led Emmett to investigating the medical practices of the Gaelic society. In his study, he has recognised a close relationship between the early Irish medical systems and the medical system of India. Emmett travelled to India in 2008 to study the Ayurvedic medical system which is practiced unbroken for over 5,000 years and with its full medical records intact. While in India he studied clinical Panchakarma which is a specialist branch of Ayurvedic medicine. Emmett studied under Dr Ramkumar – Punarnava Ayurveda, Vaidyagrama, Coimbatore, Tamil Nadu, India.